Betty’s Café Tea Rooms house a charming bakery, patisserie and café located in the elegant spa town of Harrogate in North Yorkshire. 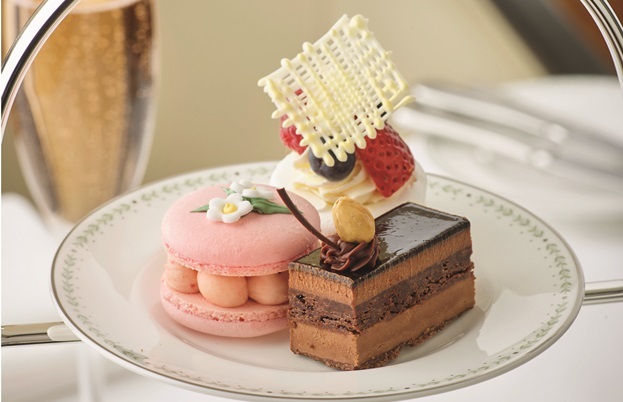 We reviewed their champagne afternoon tea - a nostalgic, beautifully executed, lunchtime treat. I do like a bit of vintage crockery. My collection runs to many, many teapots, cake plates, serving platters, cups and saucers, all possible shapes of silver cutlery, and other items of inconsequence that society has since placed out of active use. I especially like it if they match. So the afternoon tea at Betty’s Café Tea Rooms in Harrogate was an absolute delight. Silver plate abounded, from the cutlery to the cake stand to the ornate tea pot. The ceramics were bone china and co-ordinated beautifully. The tablecloth and napkins were crisp and pristine. The champagne glasses sparkled. Away from the bustle and lengthy queues of the popular downstairs café, the Imperial Room upstairs was a haven of tranquillity. Respectful chatter punctured only by the tinkling notes that drifted away from the piano, played live in the corner. A crisp glass of pink champagne set the tone for things to come. Tea was ordered from the lengthy list, all complete with provenance and detailed description. As a food nerd, for whom no detail is too much, this was fascinating. 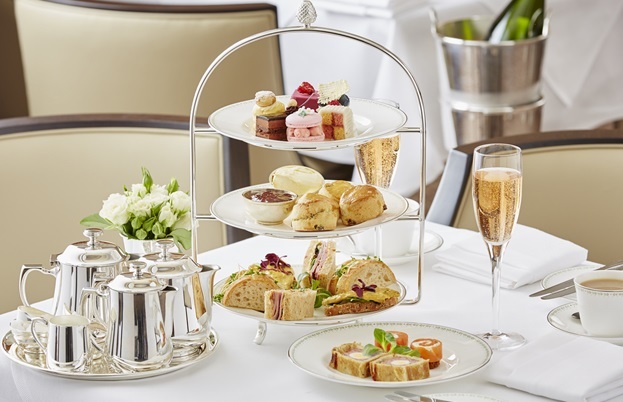 The selection and execution of the tea was treated with the utmost respect and reverence at Betty’s, and as someone who could happily live life without tea, it was still thoroughly enjoyable. I’m sure the silver teapot helped. They even gave us a little sample of each of the teas we ordered to take home and enjoy later. As a frequently disappointed vegetarian diner, it was a relief to be asked at the beginning of the meal if I had any dietary requirements and then be presented with a fully tailored menu. These touches do not go unnoticed. The amuse bouche – or appetiser as it is called in Yorkshire – was a delicate avocado crème with a refreshing tomato salsa. My big-flavour palate wanted more garlic (or possibly just some garlic?) and a touch more salt, but in all honesty that probably wouldn’t have been appropriate for either the champagne or the subtle flavours that were to follow. Next came the savouries, a tiny spring onion and herb frittata and a swirl of tomato roulade. Spectacular curls of cucumber secured with a swipe of cream cheese helped elevate these traditional sandwiches and gave balance to the deeply cheesy offering, caramelised red onion and goat cheese. Egg mayonnaise was also available, but as neither my partner nor I were fans, the waiter happily swapped them for more of the others. The bread was also fantastic, made as it is in Betty’s dedicated, artisan bakery. My ever-present fear of being served rubbish bread was proved unfounded on this occasion. There were also petite scones – my favourite was subtly flavoured with Yorkshire lavender – accompanied by a dollop of lovely, fruity preserve and a smear of clotted cream. Not quite enough cream to satisfy the cravings of my guest and I, but enough for any normal person. I’m sure they would have proffered some more if we hadn’t been too embarrassed to ask. Probably for the best. The cakes were served, of course, on a handsome (matching) silver tower. As several of the treats usually on offer were made with gelatine, the selection was a little more limited, but it was good to know that dietary requirements were knowledgeably thought out. The cakes were almost delicate enough to be popped in whole, but I opted for a couple of bites for decorum’s sake. Pearly white meringue with fresh berries and a touch of whipped cream. A multi-layered, chocolate mousse-y praline extravaganza. A dainty choux bun filled with a light orange crème. All elegant, refined and beautifully executed. Much like the experience itself. The waiter offered to wrap up any leftovers, but that was not a service I needed to take advantage of. Although there were many different cakes and nibbles included in the tea, nothing overwhelmed. There was just enough food to feel you had overindulged a little, but without the lasting pain of gluttony. Even the portion sizes at Betty’s were genteel. All in all, we left beaming. Full, content, happy, spoiled and beaming. The unusual combination of Swiss patisserie and historical Yorkshire gentry proved a winner. Even my guest – a hardened Mancunian who is unimpressed by pomp and circumstance – was won over. And that is saying something. 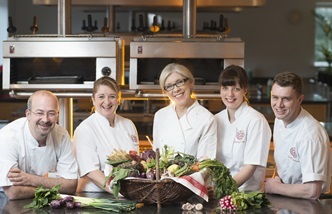 One of our chefs, Frances Atkins of The Yorke Arms in the Nidderdale Valley, is currently teaching at Betty’s Cookery School. 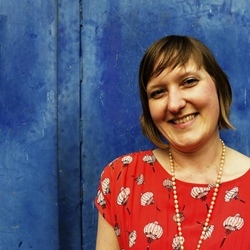 With a lesson to match each season, she is demonstrating her Michelin-starred take on seasonal cooking and sharing recipes and stories with her students. Tasters designed by Frances Atkins, followed by a gorgeous Betty’s dessert, are also on the menu. So consider this Yorkshire twist on afternoon tea, if it’s an elegant lunchtime treat you’re after. The original branch is in Harrogate, but they now have branches scattered around the rest of Yorkshire too. A visit to Betty's is essential for any tea lover. 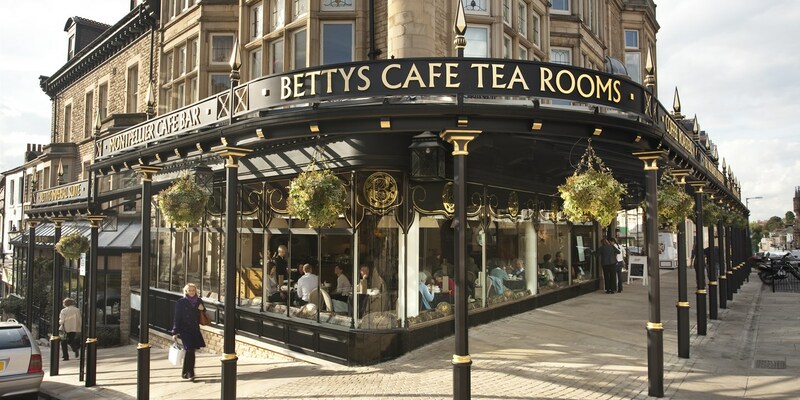 Find out more and plan your visit by visiting the Betty's Tea Rooms website.